The incident took place around 2 pm on the 24th of this month in Pattaya city. A group of Pattaya taxis surrounded the car of a Grab driver which ending up in a fight on the road. The police had to intervene in the fight and ended up charging both parties. The 3-minute video was posted on Social Media, the video helps us understand what happened and how did the fight start. At first, the group of taxi drivers went in to block off the Grab car driver. 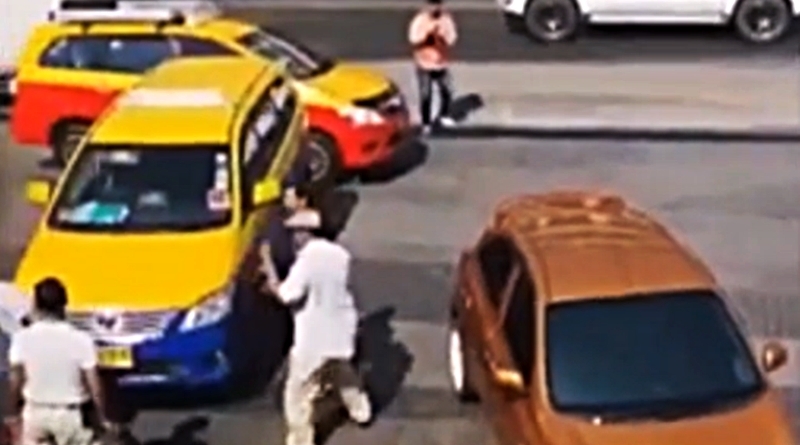 The taxi drivers then attacked the Grab car driver, this has caused Netizens to comment on the taxi drivers action as being very unreasonable. The incident took place in front of a convenience store in South Pattaya. The Grab Car driver was driving a gold Nissan March. 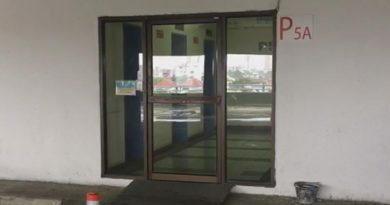 As the Grab driver was parking his car in front of the convenience store, three taxis came and parked around the gold Nissan March, blocking off any exits. The 3 taxi drivers and the Grab driver then came out of their cars and started fighting. The police came and stopped the fight before anything bad would happen. All 4 of the drivers were brought in to the Pattaya city police for further investigation of the incident. 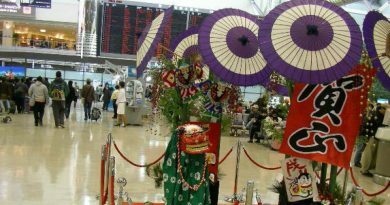 On the date of the incident, a taxi driver saw the Gold Nissan March driving in the area. The taxi driver suspected that it was a Grab car that has been coming into the area and stealing their passengers. The taxis then continued to follow the Gold car until they ended up fighting in the middle of the convenience store. 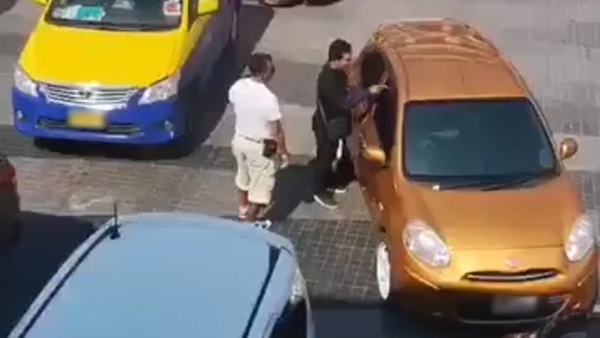 At first, the taxi drivers were yelling at the Grab driver, but then one of the taxi drivers named Jamnong kicked the back of the Gold Nissan March, leaving permanent damage behind. This made Tawatchai the Grab driver come out of his car and then the physical fight started. 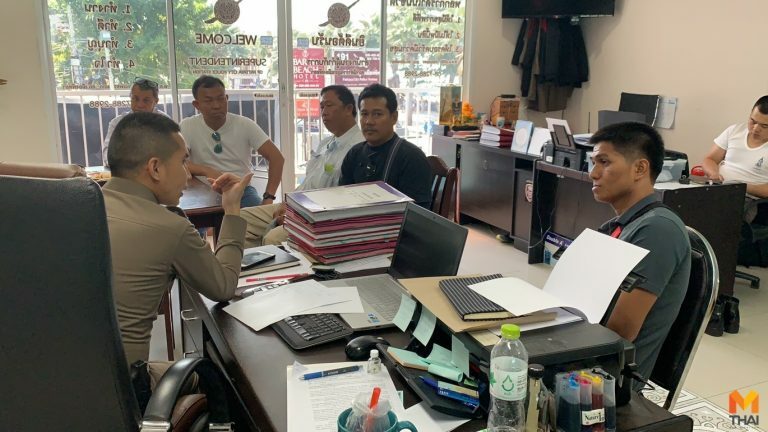 The Pattaya police have charged both parties with physical assault charges and another charge of property damage for Jamnong the taxi driver that damaged the Gold Nissan March. The police have submitted the documents to the court. The taxi drivers have stated to the police that the Grab car driver should be charged as he is driving a personal car for public transportation services. The police found out that at the time of the incident there were no passengers in the car and Tawatchai was not working at the moment, this is not an act of stealing the taxi customers. FB Caption: At first, the taxi drivers were yelling at the Grab driver, but then one of the taxi drivers named Jamnong kicked the back of the Gold Nissan March, leaving permanent damage behind. This made Tawatchai the Grab driver come out of his car and then the physical fight started.